Within the frame of research and development projects, our experts write papers to international journals, contribute to prestigious conferences, write technical books and coursebooks. 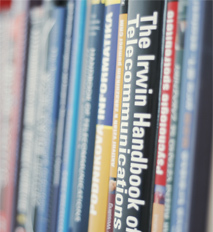 The up-to-date list of latest publications can be found at the webpage of Faculty of Electrical Engineering. The list is regularely updated. Seznam je průběžně aktualizován. You can also find there the list of publications in recent years. We share our findings and knowledge with the research fellows in the Czech Republic and abroad.